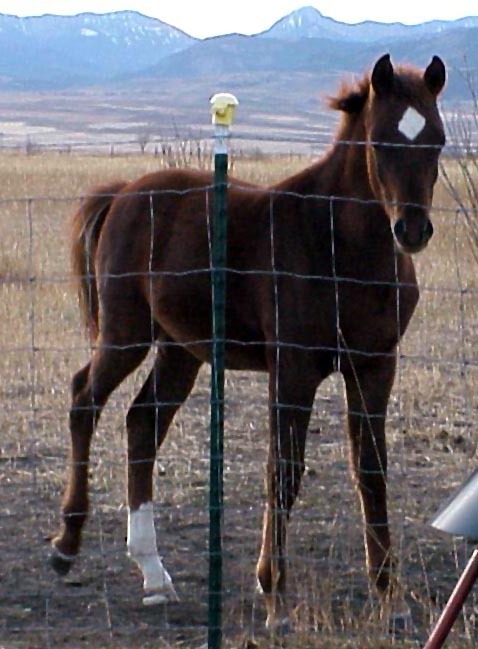 FA AL BADI+/ is the excellent outcome of a stallion off the Babson farm with a mare from the Ruminaja Ranch! 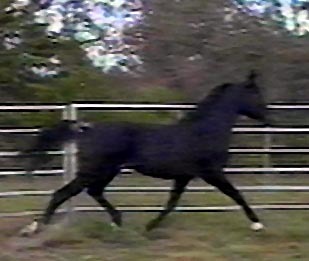 He is a beautiful Egyptian bred black bay stallion by FA SERMAN , who is by IBN FA SERR and out of FA MONIET, dam of Ansata's lead sire PRINCE FA MONIET. 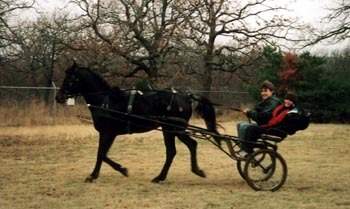 FA SERMAN, a straight Babson stallion, is a many time halter, English Pleasure, and Park horse winner in Wisconsin. 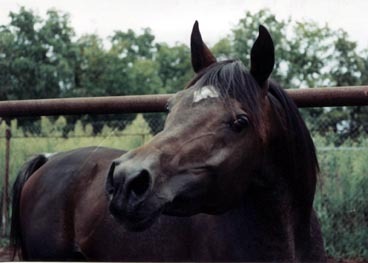 IBN FA SERR was one of the three top sires of performance winners at the 1986 Egyptian event, and is the sire of the US Gold Medal Dressage winner, SERR MAARINER. 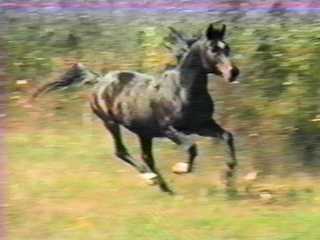 BINTZARIS LADY was bred by the Ruminaja Ranch and traces in tail female to their foundation mare, AZ. BINTZARIS LADY is by the great SHAIKH AL BADI, who was the 1973 US National Reserve Champion Futurity Colt and sire of nine National winners, including PRINCE IBN SHAIKH AND RUMINAJA ALI. FA AL BADI+/ passes on his extremely good temperament, excellent shoulder and length of stride, and of course his gorgeous head. 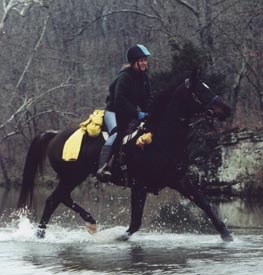 His daughter Ffire Storm, won her first 50 this year, and is training for 100 milers. 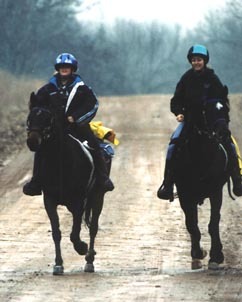 She inherited his excellent smooth gaits, and super recoveries, plus his gentle disposition. 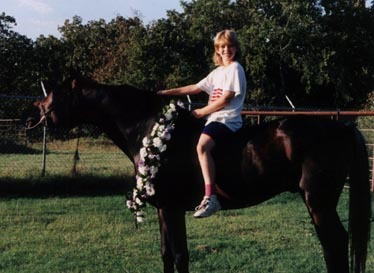 1993: Third AERC Stallion in the Nation! 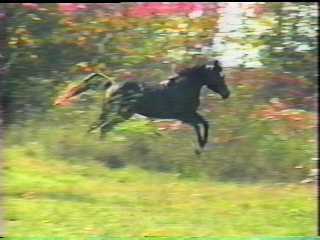 1999: Best Condition, Ozark Winter I. His daughter wins the ride. 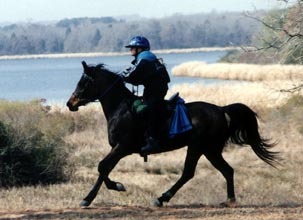 July 1999: Retirement ride Lone Star 2 day. Only one of two horses to complete both days! And a finish with all As! 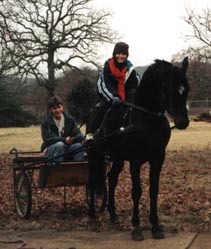 Now his daughter takes over, winning the same ride in 2001 as a grueling three day, and also getting best condition, enabling her to receive her Legion Of Honor! 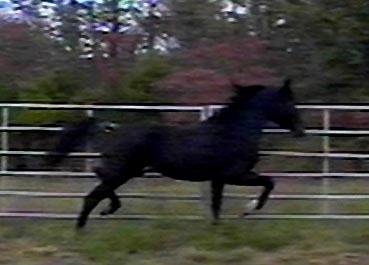 New colt by Fa Al Badi+/ x TF Summer Song! !